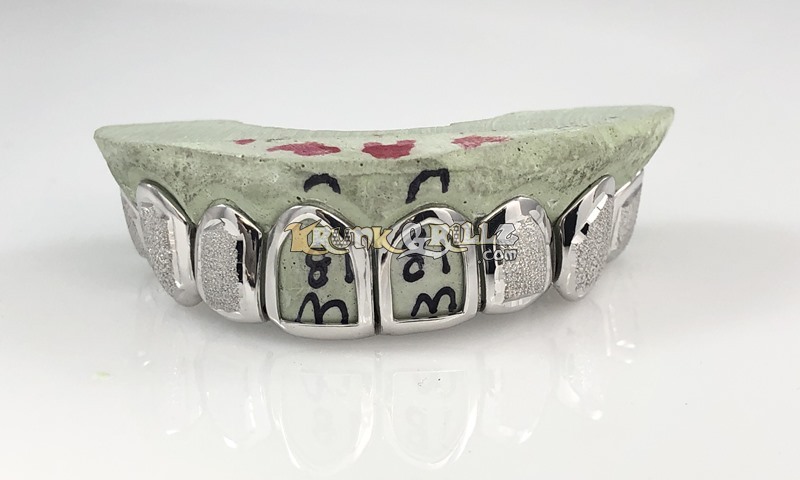 Custom fit grillz shown in white gold with intricately designed diamond dust centered in each tooth. Front two teeth are completely cutout. High polished borders.